We would like to offer you a unique opportunity to develop a long term successful fitness program. Maybe you had a trainer many years ago and would like to update your program? Maybe you had an injury and after your Physical Therapy ended you are not sure how to continue working out safely? Whatever your reason is we will create a program that is in line with your personal goals. A personal trainer will conduct an initial fitness assessment by gathering your lifestyle history and listening to what you want to accomplish. Your trainer will then create a personalized fitness program custom tailored around your specific needs and goals. As you progress, your trainer will monitor your improvements and fine tune your program as needed by making the necessary adjustments in order to help you advance to the next level. It will be sensible, functional and valuable in achieving greater health, wellness and longevity for life. Heidi is on her 20th season with Ocean Edge and her 13th year as Fitness and Wellness Director. Heidi is a certified Master Personal Trainer and group exercise fitness instructor, as well as a celebrity fitness host for MTV. She has over 26 years of experience in the fitness industry and has written articles for numerous health and wellness publications. Christine has been a certified group instructor since 1984, a certified personal trainer since 1997 and a certified yoga and Pilates instructor since 2005. Christine has been with Ocean Edge for 12 years teaching Yoga, Group Exercise, Aqua, Spinning, Pilates Reformer and Pilates Chair classes. Maureen has been practicing and instructing yoga for 13 years. She has been with Ocean Edge for eight seasons teaching Yoga on the Beach and Yoga in the studio. 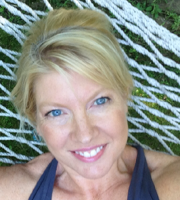 Sally has been a certified group instructor since 1991 and a certified personal trainer since 1995. She is Yoga and Pilates Reformer certified and teaches a variety of classes including Aqua. She joined the Ocean Edge team in 2013. Elizabeth has been with Ocean Edge since 2012. She is certified in personal training, Zumba, and Pilates. Elizabeth teaches Zumba, Cardio Core, and Power Hour. 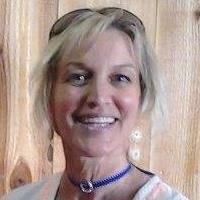 Sara is a Registered Yoga Teacher (RYT 200) and Board Certified Art Therapist (ATR-BC). This will be Sara's first season at Ocean Edge and she will be teaching Yoga on the Beach during the Summer season. All Reformer training is by appointment. Please register at Member Sports Club reception. *Private reformer sessions may end with mat Pilates and stretching. *There is a sign up requirement for all Pilates Reformer class packages. Contact 774-323-6054 for more information or to register for any training programs. Hit the ball farther, straighter and more accurately with less chance of injury. Whether twisting the body on a drive, squatting down to measure a putt or leaning over to pick up a ball, golfers constantly torque their bodies. Pilates is based on movement from the center of the body as are most shots in golf. The end result is a flexible, symmetrically muscled body that is strengthened from the inside out. Please specify that you would like golf reformer training when booking your session/sessions. Private and semi private available. Tennis players tend to experience over use of knees, hips and shoulders and often have tight hamstrings and lower backs. Even the pros have incorporated Pilates to improve their game and prevent injury. By adding Pilates to your training routine you can extend your playing years, keep your power on a consistent level and increase your racket speed. Pilates is a discipline that promotes control, precision and focus: the same can be said for the game of tennis. A perfect match indeed! Please specify that you would like tennis reformer training when booking your session/sessions. Private and semi private available. Teens 13 to 16 years of age may use the Member Sports Club weight machines by completing a personalized training program with a certified personal trainer. Participants will complete five 50 minute long training sessions which includes proper warm up, strength, cardiovascular conditioning, flexibility and cool-down. Training covers injury prevention, proper concentration, breathing, correct techniques and control. Eligibility will be determined by the trainer with requirements. After successful completion the participants may use the weight machines with a parent or guardian over 18 years being present at the facility. This training is limited to four teens max per session. $275.00 per per person. A certified trainer will work with your current or future team’s coaches and sports trainers to maximize results before or after team training camps. Some training drills may be outside and will not be limited to weight room or machines. Private or semi private available. Semi private would be three people max per session. A certified trainer will design an individual fitness program and workout routine in line with teen’s personal goals and fitness level. We will provide them with enough education and guidance to ensure that they establish effective exercise patterns right from the beginning. We will educate them on nutrition and how to train in a safe and effective manner. Stay fit before, during and after your pregnancy. Ocean Edge welcomes all new moms! Current research shows that women who exercise regularly during pregnancy gain less fat and recover more quickly than sedentary pregnant women. One of the best things about staying active during your pregnancy is that you feel great. New moms who have been cleared by their doctor to either start or resume an exercise program will benefit from knowing exactly what they should do pre and post delivery. Yoga Therapy is a remarkably effective, holistic paradigm for the full range of musculoskeletal injuries and limitations. Effective physical therapy is simply a practice of applying good alignment in a variety of precise postures and exercises. Get started or continue with your current training program. Let us help you achieve your goals and keep you motivated. Our trainers have first hand knowledge from race experience and will help you get to your race day with safe and measurable progress. Private or semi private available. Semi private training is three people max.